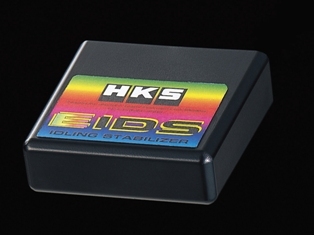 Блок стабилизации холостого хода Electronic Idling Stabilizer (EIDS) The HKS EIDS has been developed to buffer dramatic airflow meter signal fluctuations. By buffering these fluctuations the EIDS prevents engine stalling or stumbling associated with sudden imbalances in air/fuel ratio of airflow meter-equipped vehicles that utilize atmosphere venting blow-off valves. Есть вопросы по Блок стабилизации холостого хода Electronic Idling Stabilizer (EIDS)?